We are introducing another new product - the flagship model of the popular CBC series of chargers. 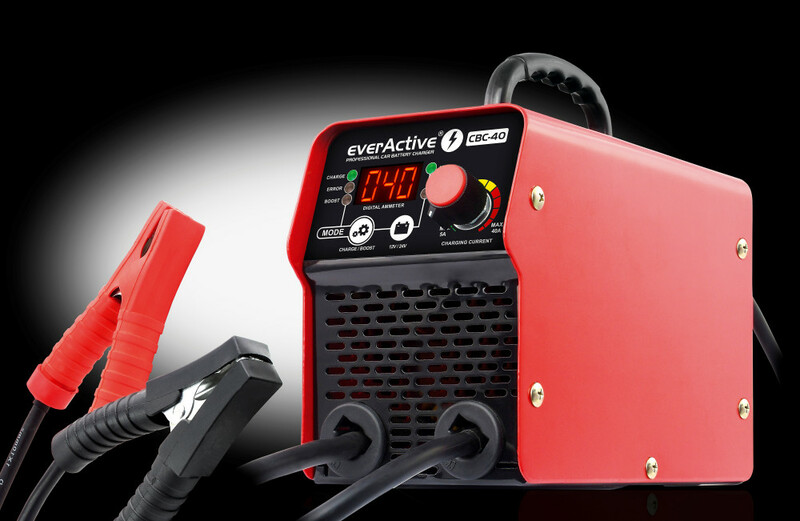 everActive CBC-40 is an advanced, automatic inverter charger for automotive batteries, lead-acid, VRLA, SLA, AGM, GEL, etc. Don't let the small size of the device mislead you. The charger offers exceptional high performance. The charger has an effective charging current (stepless regulation) from 5 to 40A for both 12V and 24V batteries. In addition, it supports starting-aid up to 300A. The use of an advanced inverter circuit guarantees high efficiency and performance in a small size enclosure, with the parameters that were previously reserved for much larger devices. The inverter charger combines the advantages of transformer and pulse-microprocessor controlled chargers.